Dozens of schools across the South Coast are closed Monday after a punch of snow hit the region on Sunday. Another 10 to 15 centimetres is still in the forecast. Winter on the South Coast is usually all about the rain. School closures and ferry cancellations are in effect Monday as much of the region is under another snowfall warning, the second such warning in as many days. 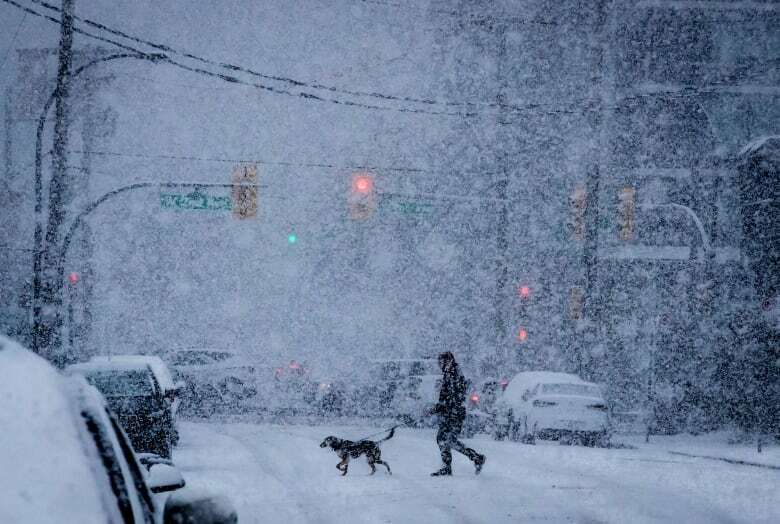 Metro Vancouver, Howe Sound, Whistler, the Sunshine Coast, the Fraser Valley and most of Vancouver Island are under the weather advisory. 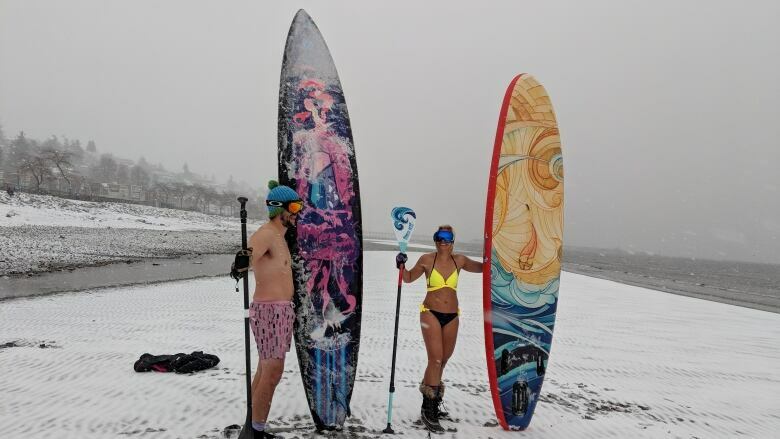 Environment Canada has 10 to 15 centimetres of fresh powder in the forecast, beginning in the afternoon and continuing into Tuesday morning. TransLink spokesperson Chris Bryan said accordion buses were taken off the roads Monday and replaced with regular buses, which means better traction but less capacity — so more crowding and delays on busy routes. Just before 6 p.m., TransLink said in a statement the Millennium and Expo Lines are operating with less frequency than normal, because every train that runs must be staffed due to track alarms caused by snow falling on the guideway. The Canada Line and the Seabus are operating regularly. Classes at the University of British Columbia after 6 p.m. are cancelled, and the university said non-essential services are curtailed. Classes at BCIT were cancelled as of 4:30 p.m., and all campus buildings and services were closed. Classes at Simon Fraser University's Burnaby and Surrey campuses after 5:30 p.m. were cancelled, though buildings will remain open. 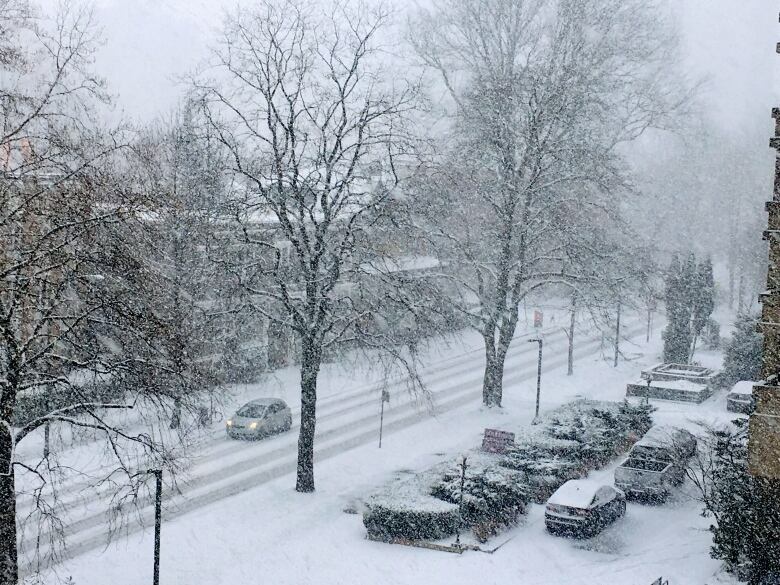 SFU's Vancouver campuses remains open. 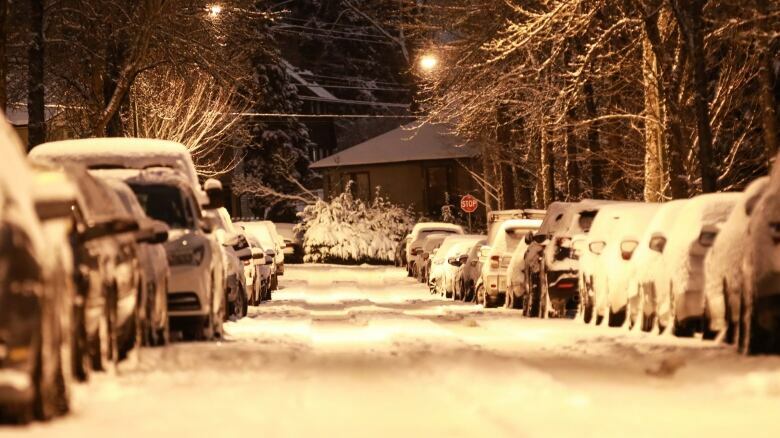 Canada Post has issued a "yellow alert" for the Greater Vancouver Area, Vancouver Island and the South Coast. "We are going to do our best to deliver, but there may be delays," it said in a statement. Earlier on Monday morning commuters ran into bedlam due to the snow left over from Sunday. Freezing temperatures overnight held the weekend's drifts in place and left many roads packed with a slick, compact layer of snow. Metro Vancouver's SkyTrain system was running slower than usual as ice and snow triggered intrusion alarms on the tracks. Many trains along the Expo and Millennium Lines were being driven manually during the morning rush hour. Crowds built up quickly at several major SkyTrain stations, including the freshly expanded Commercial-Broadway hub. An earlier version of this story mistakenly stated that Simon Fraser University was closed Monday. All SFU campuses are, in fact, open.